You have probably heard about music having a big impact on the brain development of young children, so wanting to find out about the best age to start piano lessons is only natural. We’ve made a mission about coming up with the answer to this question, so your child can take maximum advantage of every stage of his development. Music has “magical” effects on the brain of your child. According to a study published by The Journal of Neuroscience, there’s a prime opportunity for young children to boost their brain-power by being exposed to music from an early age. The study shows clear differences in brain development between people who studied a musical instrument from a young age and ones who didn’t. Those who were exposed to music showed a superior connection between different areas of the brain that are responsible for coordination of both hands, hand-eye coordination, accuracy and precision. Studying a musical instrument from early on can also influence cognitive and language advancements. So, when is your child prepared to start lessons? 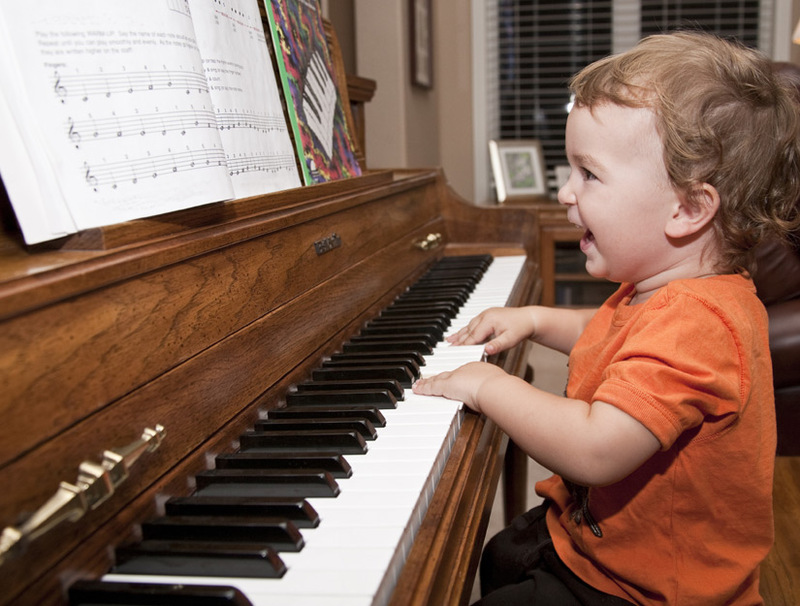 The best age to start piano lessons is somewhere between the ages of 5 and 7. It depends a lot from one child to another, but this is a pretty accurate range as to the moment your child is ready to study a musical instrument. Around this age, kids reach a level of cognitive, motor and language development that is enough to enable them to start lessons. As mentioned, it all depends from one child to another. You might know kids who are 5 and already know to play a few tunes on the piano, and your 6-year old doesn’t show any particular interest towards starting formal lessons yet. You should by any means not worry of feel pressured in any way. Nor should you put pressure on your kid. If you force him to do something that he lacks enough motivation for, chances are it’s going to backfire and he will never feel any attraction for it. How can you make sure he’s 100% ready? If your child is between 5 and 7, he most likely is at a stage where he’s able to recognize and comprehend symbols and representations, he understands the difference between above and under, and have basic language skills. Besides this, there are also a few physical stages that your child needs to have reached, like: the right hand size and finger independence. Your child has the right hand size when he can easily put the five fingers of one of his hands on 5 consecutive white keys. If he’s not able yet, don’t worry, just wait until he is at that stage. Besides the hand size, it’s important for him to be able to move every finger as well. How can you spark interest towards the piano? Even if your kid is between the ages of 5 and 7 and meets all the standards to be able to start piano lessons, he’s probably not ready if he lacks the proper amount of motivation. Without genuine motivation nothing is possible, so don’t trick yourself thinking that you can boost his interest by forcing his hand. It all has to come from him, naturally. There are some things, though, that you can do to open him up to music. To make sure that your child reaps all the benefits music can offer him, it’s best to expose him to music from the moment he’s born. This doesn’t mean piano lessons at all, it’s just playing to him, which by itself is beneficial to the development of his brain. When your child reaches 1-2 years you can let him play around on the piano. Again, this is not lessons, it’s just letting him have fun and learn to enjoy the piano. For this to happen, the best option is buying a digital piano, because they have many advantages over acoustic pianos, the main one being price. You can learn more about digital piano checking out our guide. By the time he’s in the 5 – 7 age range, he’s going to be really comfortable with the piano, and probably ready and motivated enough to start lessons.